IDAHO FALLS, Idaho — An employee was taken to the hospital in Idaho Falls for possible burns from a sodium fire in a building at Idaho National Laboratory. The fire may have been caused by a sodium reaction earlier Friday morning, they said. The unidentified employee, who works for the private Idaho Cleanup Project, was taken to Eastern Idaho Regional Medical Center in Idaho Falls for evaluation of burns, the lab said in a written statement. It happened in the Sodium Boiler Building located inside the Materials and Fuels Complex. Ten other employees were evaluated and released by medical personnel at the site, they said. Employees working in the immediate area of the building were evacuated. All other employees in the MFC complex were told to remain inside their buildings, they reported. The chemical fire on Friday broke out in a building adjacent to a decommissioned, experimental reactor at the U.S. Department of Energy’s sprawling Idaho National Laboratory that is cooled by sodium, lab spokeswoman Sara Prentice said. This is the second time this week the Emergency Operation Center has been activated. 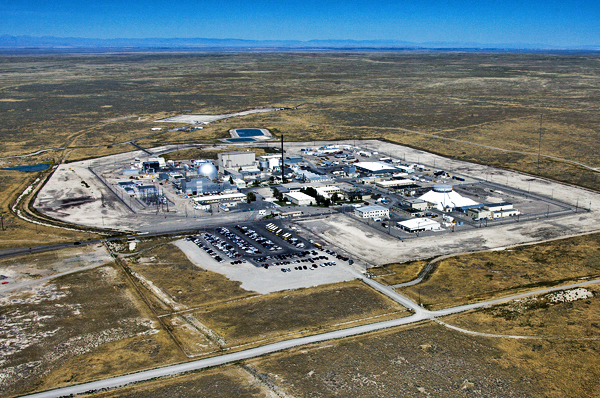 On Tuesday, 16 employees were exposed to low-level radiation from plutonium. All 16 workers exposed to radiation at the Idaho National Laboratory were allowed to go home following the incident, which officials Wednesday said likely resulted from decades-old plutonium powder that escaped its damaged stainless-steel shell. All 16 workers will undergo weeks of testing, including urine analysis to evaluate their level of exposure. Plutonium, if it remains in the body, can cause cell damage. INL officials declined to provide details about the workers, including their genders. A wildfire near Idaho National Laboratory consumed thousands of acres in August of 2011. It caused workers to be forced to stay inside, and concerns were raised about T-17 fire as the soil is heavily contaminated.